美国MVE液氮罐CryoSystem 6000 Full AutoThe MVE Cryosystem 6000 full auto combines the compact efficiency of aluminum dewars with the monitoring and auto fill features of the TEC3000 control system. 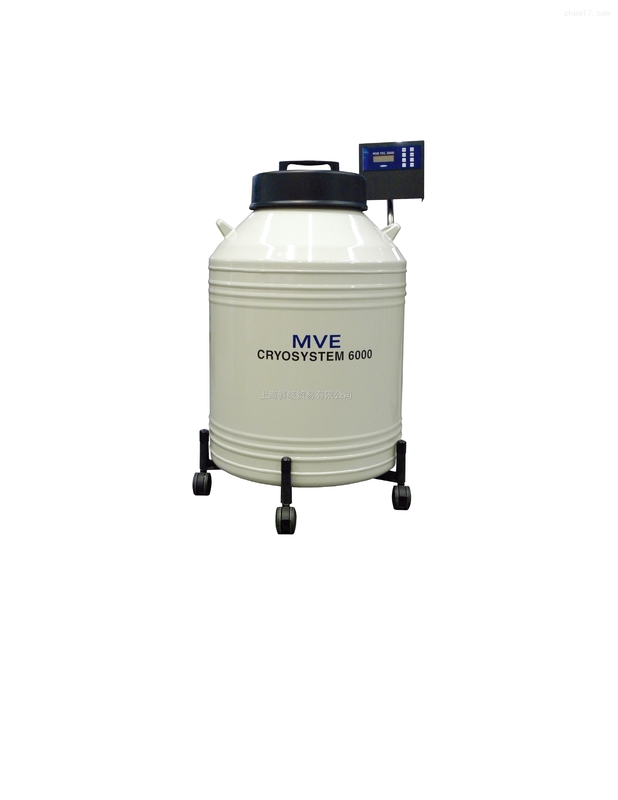 The MVE Cryosystem 6000 full auto combines the compact efficiency of aluminum dewars with the monitoring and auto fill features of the TEC3000 control system.The differentials pressure-based level control allows this unit to easily be used for liquid or vapor storage with a -190°C top box temperature. The TEC3000 continually monitors and records temperature and LN2 levels, auto filling when needed, and providing audio/visual alarms with remote connectivity when necessary. 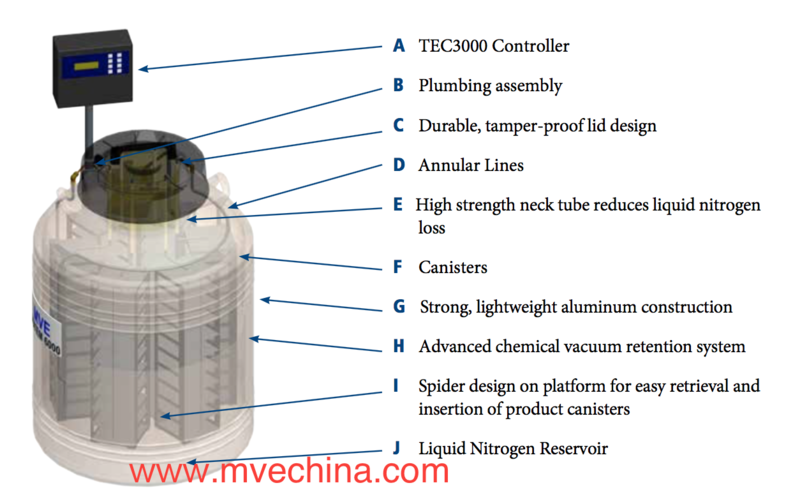 The enhanced safety fac- tor of not having to manually fill this unit also helps maintain a consistent temperature profile for vapor storage.